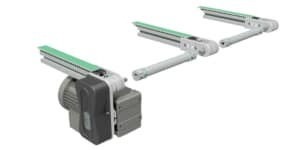 Linear Motion, 3 Axis Gantry and Conveyors - Allied Automation, Inc.
Based on our proven Extrusion and Fastening Technology, we have developed Linear Motion Units that meet the highest expectations of our customer in versatility, stability and efficiency. 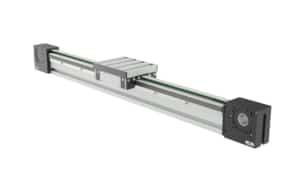 Robotunits offers a Linear Motion System of the highest quality, offering maximum cost and time saving potential in design and assembly. Additions are implemented easily and efficiently. 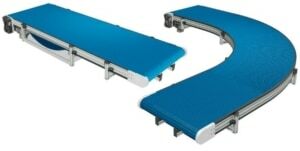 The Robotunits Just-In-Time Belt Conveyor System – Individual and Flexible Conveying. The main focus of the Robotunits technology is to offer quicker, more flexible and more intelligent solutions. This is true in particular for the Robotunits Conveyors. 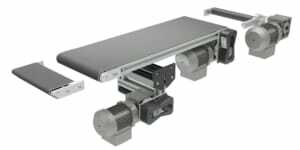 The range includes high performance conveyors with a wide range of belt properties with or without cleats in different shapes and sizes. Accumulating, vacuum or magnetic conveyors and custom conveyors outside of the standard dimensions are also available by special order. 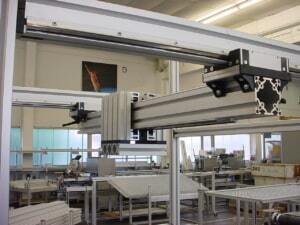 The Belt Conveyor System is seamlessly integrated into the Modular Automation System.